Kenya – Aglows vision is to enhance the capacity of youth to implement programs in health, agriculture, and the environment in order to improve their welfare, health status, and standard of living. Through these efforts, they are creating a sustainable system of community development. Aglows work empowers youth with skills which transform them from being dependent members of the community to active participants in the socio-economic development and welfare of their society. The focus of the project is to improve the agricultural and business knowledge of the youth and the community. Aglow is bringing in experts to teach youth about agriculture technologies, crop rotation, and business practices such as marketing. The project will enable access to capital to start income generating activities through a microenterprise fund. February 2009 – $5,000 – GPA is supporting Aglows efforts to bring youth into the development process and providing business education and opportunities for them. Through agricultural and business education, Aglow is giving youth the opportunity to gain valuable skills and contribute to their community. October 2009 – $3,000 for Capacity Building. GPA is interested in helping our partners strengthen their organization and move toward sustainability. These funds will assist Aglow in gaining skills in effective program implementation, monitoring and evaluation, strategic planning, financial record keeping, risk management and proposal and report writing. 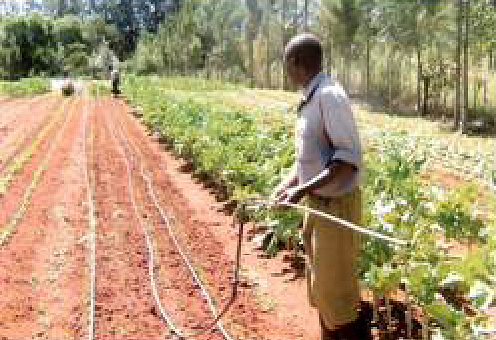 October 2010 – $9000 — GPA provided second level funding to expand the agribusiness project to include a team of field officers for technical support to the youth, expand export of agricultural products and to expand to include livestock. This program serves over 1000 youth who are involved in income generating enterprises that support themselves, their communities and their families.